Here’s an insightful yet provocative video into the minds of the Millennial Generation, also known as Generation Y, in the workforce. The video is put together with the findings from a survey by global human resource and financial consultancy firm Mercer, which was conducted among nearly 30,000 employees in 17 markets worldwide from Q4 2010 to Q2 2011. 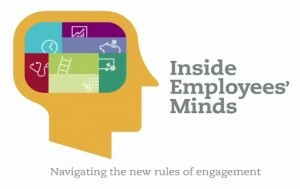 The findings reveals a definitive change in the mindsets of young workers; interestingly, for example, the youngest employee demographic tends to be the most satisfied with their jobs and organizations, yet are the most likely (almost 50-percent) to seriously contemplating leaving their employers now. Do you feel the same way? Share with us.